They always have an assortment of treats at their parties. Davey had a mini-cupcake, but they had healthy treats too. Davey is slowly getting better about trying new things, and we were thrilled to see him eat a cherry tomato (I don’t think he knew what he was getting into with this. They are squirty! ), and a piece of celery. Pretty major for Wee Tot! We’ve been celebrating at home too. 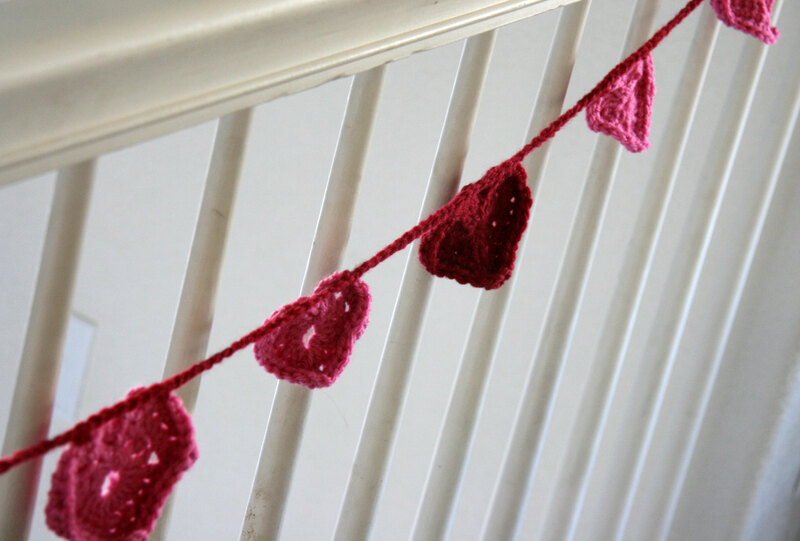 I saw a cute pattern from Craftsy for some Crocheted Heart Garland, so I made that one evening. I hadn’t crocheted much in awhile, but these went really fast. Davey really liked our new decoration. 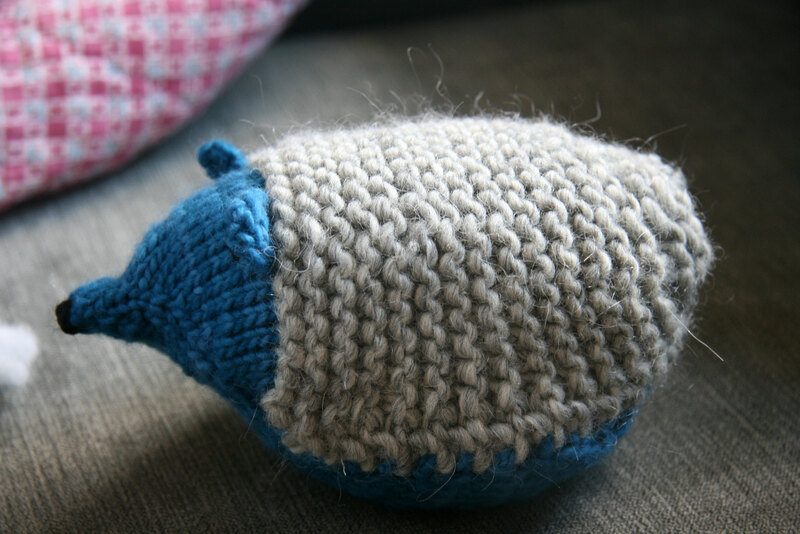 Then I came across the cutest pattern on Purl Bee I could spend years knitting all the neat patterns on their website. 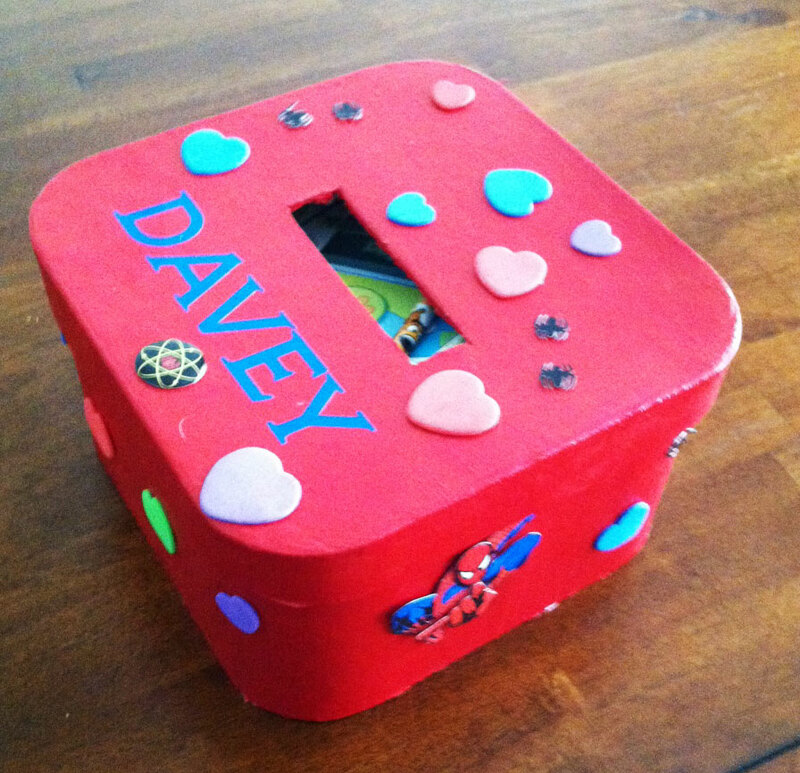 Davey took one look at the pattern picture and wanted one for his very own. Davey was setting up Hedgie’s habitat here. 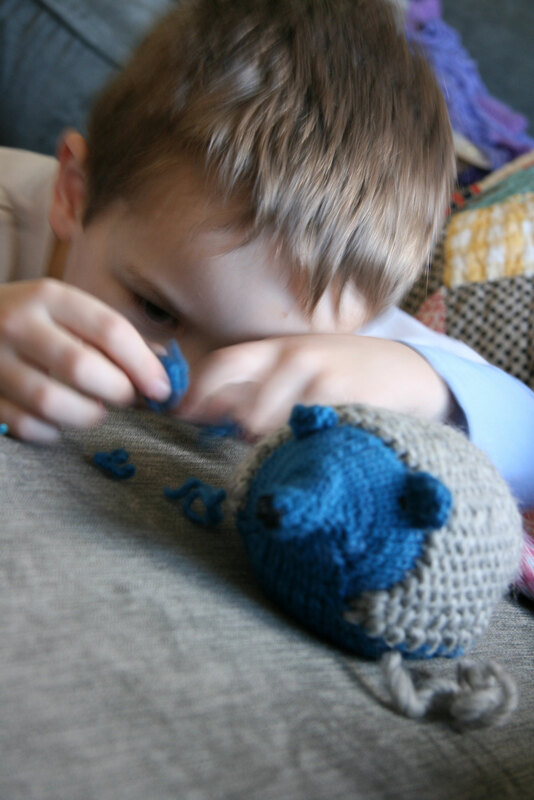 I guess it makes perfect sense that a yarn created Hedgehog would have a yarn related habitat! And finally, I knit little Lila a hat. This was another fun fast knit. 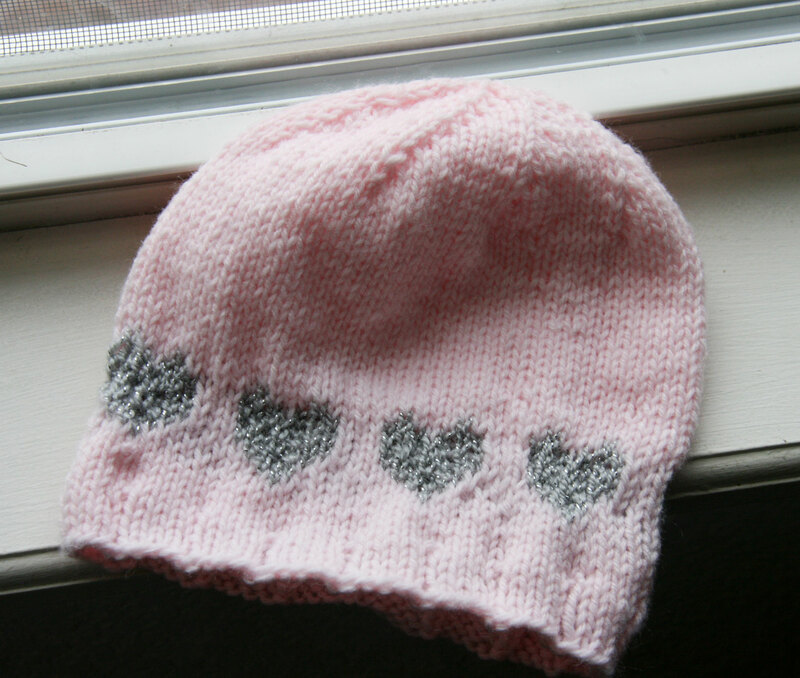 I knit the hearts with a silver yarn that had a little metallic sparkle to it. It’s cute as a button on her! 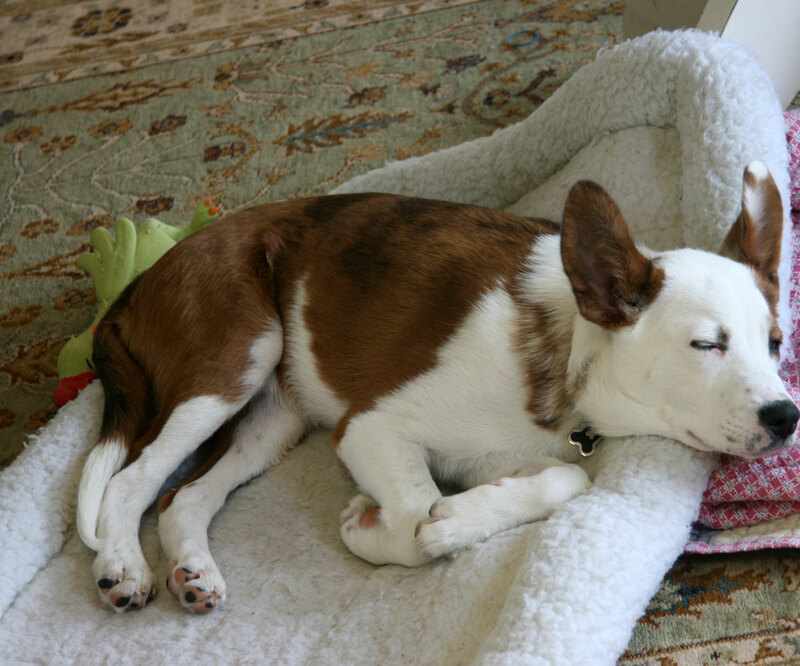 And for a non-knitting ending, I love this picture of Buster sleeping. Davey and I are getting ready to take him to the vet for the rest of his puppy shots. 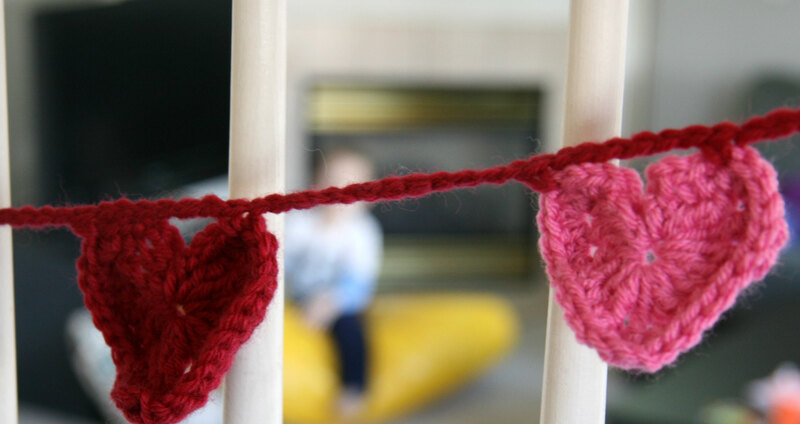 This entry was posted in Crafts, Knitting and tagged Crocheted Heart Garland, Heart hat for Baby, Purl Bee, Whit's Knits Hedge Hog by cpeezers. Bookmark the permalink. Looks like a fun day. Buster looks pretty contented. Happy “belated” Valentines Day. Looks like you had a very “knitterly” holiday.